21913 TF5332 3 piece coffee table & two end tables. 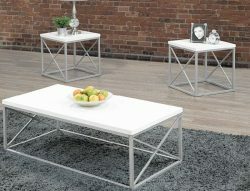 With high laquered, white table tops, and an unique, box-like design- including cross-hatch side supports, this unique coffee table set will be the major accent you are looking for to tie your living room together. 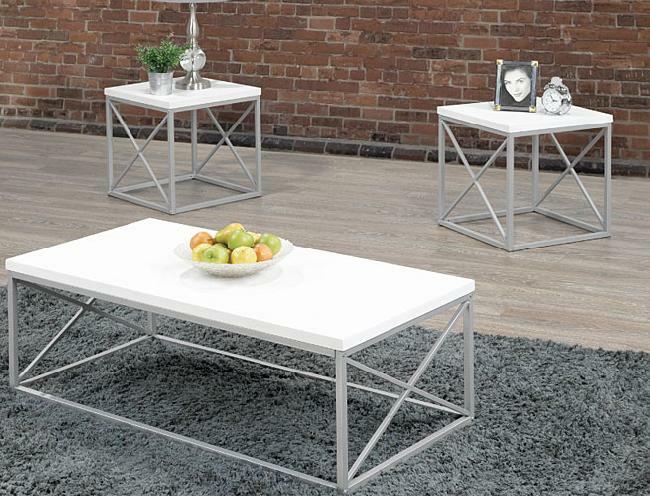 Sturdy, grey finish, metal legs.